1. The colours: The colours on the cards looks excellent. 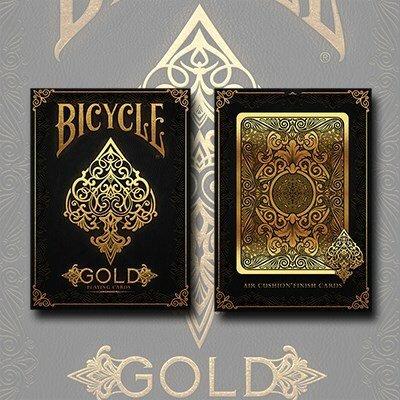 Admittedly it's more of a gold/yellow/brown than actual reflective gold colour, as you get with playing cards that use gold foil printing, but it still looks terrific. 2. The card-backs: I love the design on the cardbacks. It's very intricate, detailed, and especially when you play on a black surface, looks amazing and really brings out the gold colour. 3. The artwork: The court cards have fantastic custom artwork, and really look terrific. These cards are the highlight of the deck, and are beautiful to look at. 4. 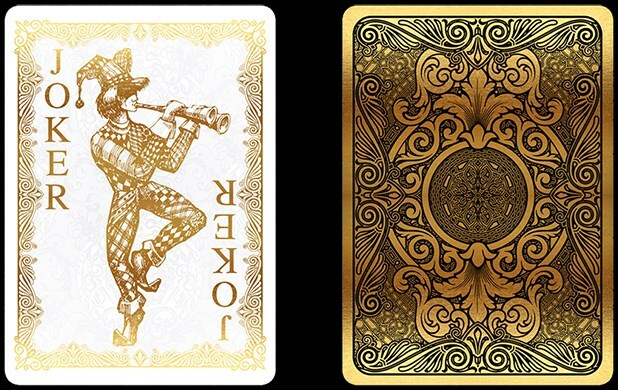 The borders: All the cards have intricate borders, including the number cards, making them look classy and luxurious, and very different than a standard deck. 5. The handling: They are printed on good quality card-stock, and handle and shuffle beautifully. 1. Confusion between Spades and Clubs: The pips used for Spades and Clubs are far too similar. This really affects playability, and makes the deck hard to use, because you need to study the pips too closely to distinguish them. This is a real problem with this deck, and affects any game in which suits matter. 2. Card-back wear: After repeated playing and shuffling, the edges of the cards start to wear. This isn't an issue with the face of the cards, since they have white borders on the edges. 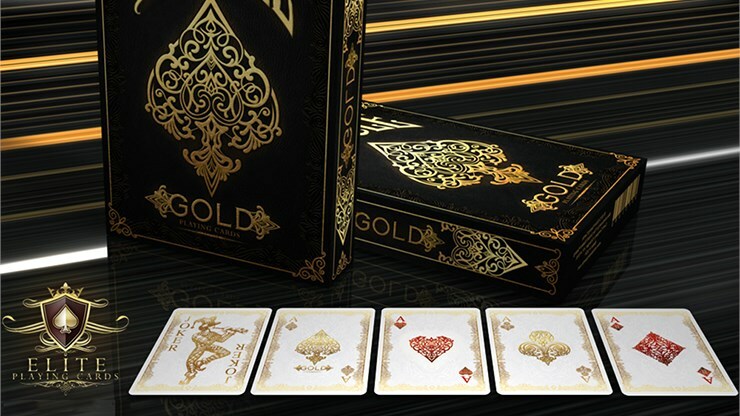 But the card-backs have gold-coloured edges, so the colour quickly starts to wear off here, and it doesn't take all that much for the deck to start looking a little tattered and weary. 3. 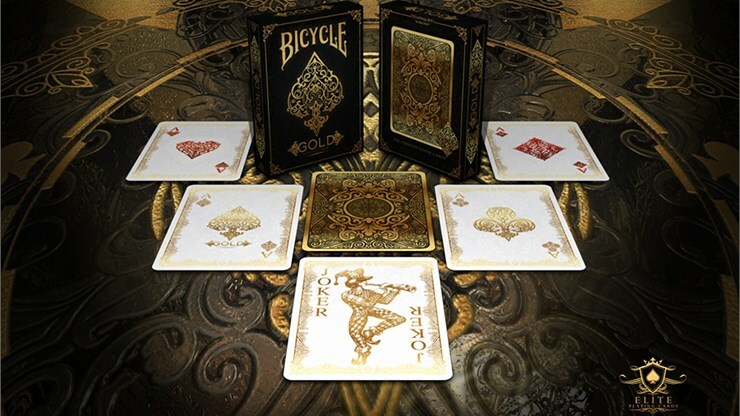 Colours: This was also in my list of positives, and while I like the colours, the reality is that the gold here isn't gold foil printing, so it doesn't quite have the luxurious look as decks that use that, and some people have been disappointed by it. Just realize that while it's pretty, it's not as metallic or shiny as you might expect. RECOMMENDATION: Overall this is a nice deck, but more for collectors - it's not the most practical to use, and the colour on the card-backs does start to wear.